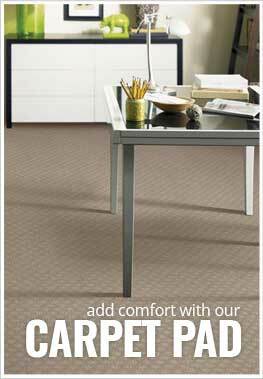 Description - Add style and grace to any room with Joy Carpets Eclipse Carpet. 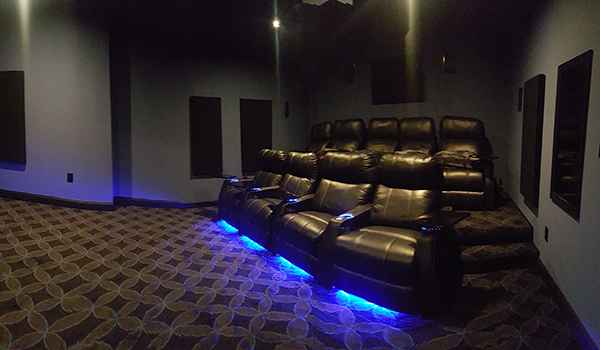 Great for any room in your home or business, this commercial grade carpet is the perfect flooring option for any home theater or high traffic commercial area. Resistant to mold, mildew, staining, and soiling makes this carpet virtually indestructible, which makes it the perfect soft, comfortable alternative to vinyl, laminate, or tile. Backed by a lifetime warranty, we are certain this carpet will looking stunning for years to come. Pattern Repeat - 13.5" x 13.5"
Material - 100% STAINMASTER® nylon with an ActionBac backing. Face Weight - 32 oz./sq.yd. Recommended Uses - Joy Carpets Eclipse Carpet is the perfect flooring option for any high-traffic area in your home or business and is commonly used as flooring in home theaters, as basement flooring, in playrooms, as family room flooring, in commercial spaces, in churches and much more. To keep your rooms clean and inviting, carpet should be vacuumed frequently. Spills should be removed immediately with an absorbent cotton cloth and clean water. Periodic maintenance can be performed as needed using a hot water extraction-cleaning machine (I.E. carpet cleaner). Installation of carpet can be a tricky matter, but here we work to make it easy. Below are instructions for the most common methods of installing carpeting. First you will want to make sure your subfloor is free of all dirt and debris. If there are cracks, holes or depressions, we recommend you fill those. Group rolls and cuts working from the longest patter repeat gradually down to the shortest. Shift trimmed edges to achieve a match near the mid point of the seam. Insert hot melt tape under seam. Melt together that portion of the seam that is visually acceptable. Using a power stretcher or knee kicker, stretch along the “short” side in 3 to 5 foot sections. As each small section of the seam is matched, insert seaming iron and prepare that section. Leave stretcher locked in position until each section cools. Do not complete any section of seam that does not match. Once all seams are matched and complete, the entire installed area is stretched. Image and more detailed instructions of how to do this can be found in the printable instructions. Trowel notch size, shape and adhesive coverage rate must be maintained as noted on the glue pails installation instructions. If patterned carpet is being installed, installation sequence must be determined based on pattern repeat size. On non-patterned loop pile carpets, row cut one of the edges to be seamed, overlap this edge over the other edge, and scribe cut to the row-cut edge. Obtain a net seam – do not compress – use knee kicker or “crab”stretcher to position. Bead all edges with seam sealer on all carpets regardless of construction. Avoid air entrapment – lay carpet into adhesive working in both directions from center. Roll with 75 lb. Roller in both length and width directions or as directed by the cushion manufacturer in “double stick” applications. Restrict heavy traffic and furniture movement for 24 hours. For printable installation instructions, please Click Here. Stain, soil, mold and mildew resistant. 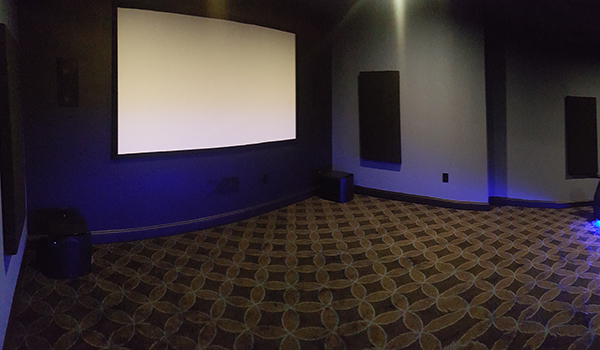 Great for basements and home theaters. StainMaster® carpets feature supreme stain and soil resistance, exceptional durability, are comfortable underfoot and fit with any style. Not only are these carpets easy to clean, but they even offer fade resistance, providing the perfect carpeting solution. When you see the CRI Green Label Plus® Certification, you can rest assured that the carpet product you’ve chosen is safe for the whole family. This certification is part of the Indoor Air Quality Testing Program to ensure that carpet, adhesives and carpet pads emit low emissions of VOCs, all in a larger attempt to help improve indoor air quality. These scientifically established standards ensure that approved products provide a better environment for living, working, learning and healing. Products that are Made in the USA provide jobs for our citizens as well as future generations. Domestically made products ensure that the items we bring into our homes are passed through higher quality control standards and are better not only for our families but for the environment. This product is rated and approved for areas with high foot traffic. This means that not only is it suitable for use throughout a busy home, but this product can also be used in businesses, retail shops, waiting rooms, offices, and more. My wife and I both though we would ever find a carpet for our Home Theater.....we saw tons and tons of silly carpets with pictures of popcorn or movie tickets....but it all looked silly. We wanted something that looked like movie theater carpets, without being silly............and this one filled the bill beautifully!!!! We can't wait for it to arrive!!! We chose the blue color. The carpet looks great and worked out perfectly with our theme and color combination!